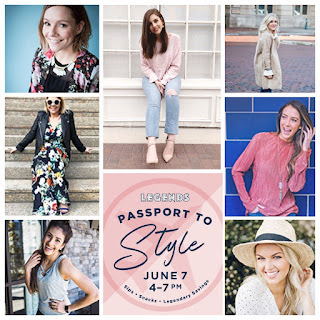 Passport to Style - Thursday, June 7! 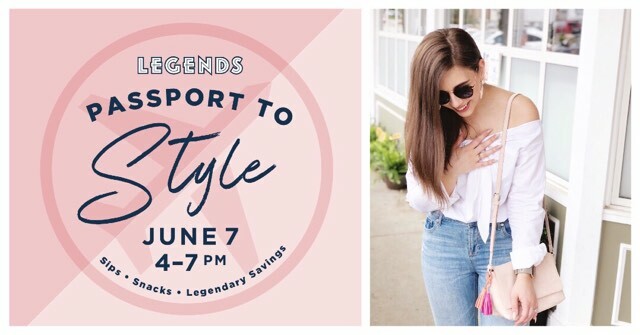 Shopping, savings, sips, and snacks - this is what you'll enjoy next Thursday evening when you join me for the Legends Outlets Passport to Style event from 4:00 - 7:00 pm! And to make this event even more exciting I'm also giving away two tickets over on Instagram! Make sure to go check out my latest post for entry details. You can also purchase tickets via the link here! 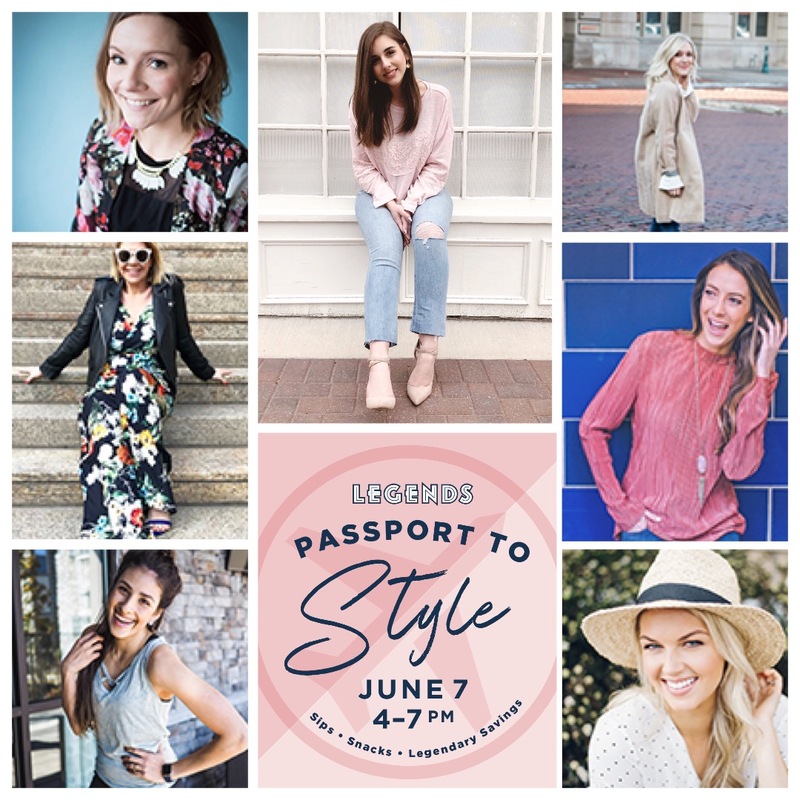 Get your tickets to Passport to Style here! 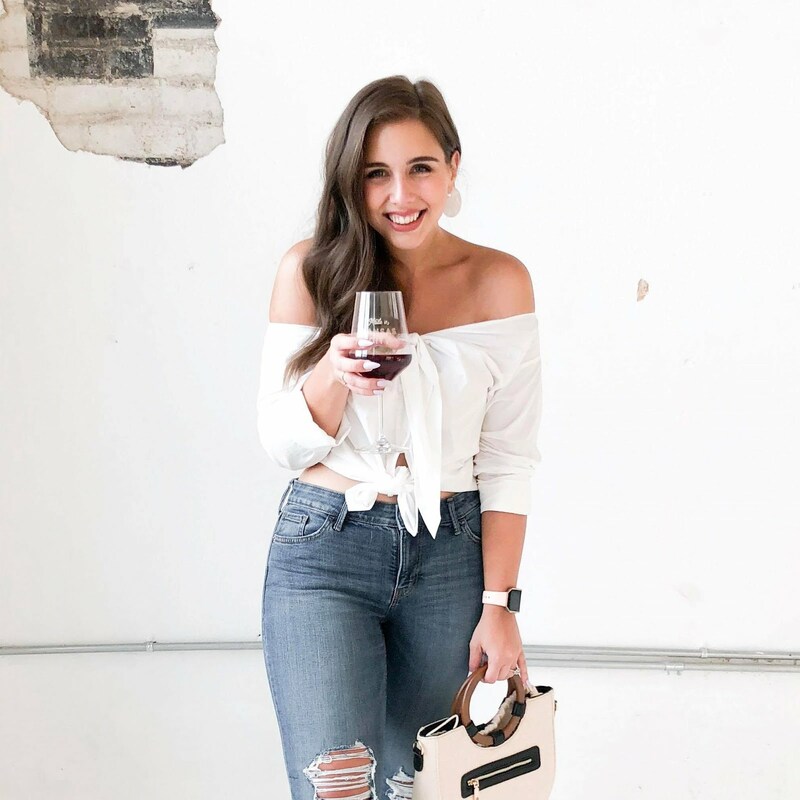 I'll be there with some of my favorite KC influencers including Shelby Ditch (Shelby Ditch Blog), Sheina Fernandes (Sheina Fernandes Blog), Pam Carper (Sideofglam), Mika Jade (Layers and Lipstick), Abby Wood (ABBYWOODWEAR), and Sarah Jean Hagler (Professional Stylist). We'll shop with you, share some of our favorite finds, and provide one-on-one fashion + beauty advice! AND the best part is that you'll receive a one-night-only style passport that gives you access to special sales at Beauty Brands, Nike Factory, J.Crew Factory, Banana Republic Factory Store, H&M, Maurices, Francesca's and more! I'll be spending the evening at Francesca's sharing some of my very favorite pieces and summer trends! 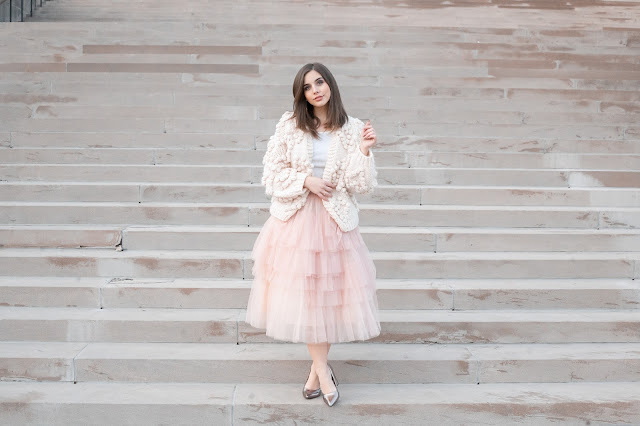 To get a jump start on all the Francesca's fashion fun, I've linked some pieces I'm absolutely dying to add to my wardrobe below. Just click the picture and it'll take you right to the product! Make sure to scroll through the whole list - I've included tops, dresses, jumpsuits, and all kinds of accessories you won't want to miss! I hope you'll join me for some Legendary deals (sorry, couldn't resist the pun) at the Passport to Style event! If you have any questions about the event make sure to reach out to me via email here or via direct message on Facebook or Instagram! Peaches Vintage Collective Grand Opening!